Everything is coming up roses on Edgware Road with the introduction of the Marble Arch London BID Rainwater Gardens. 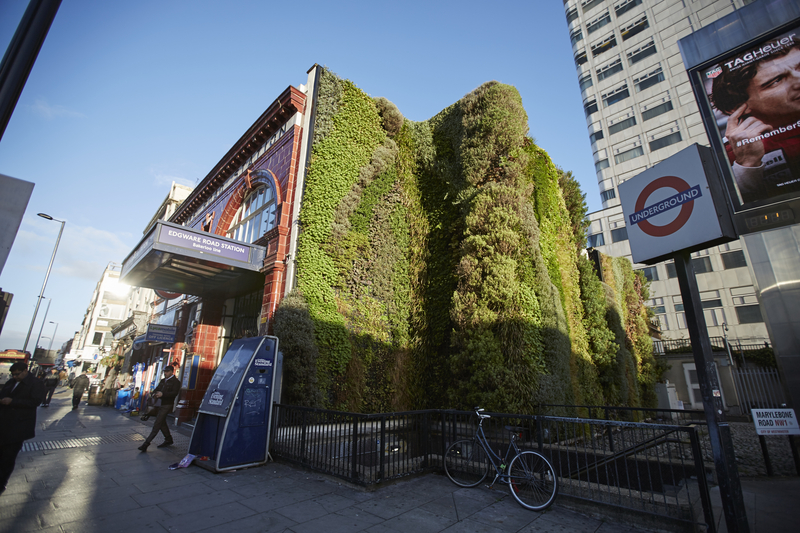 We have teamed up with Transport for London (TfL) and Westminster City Council (WCC) in an effort to improve the little used pedestrian subways underneath the Marylebone Flyover at Edgware Road by installing modern gardens at the four corners of the junction, including outside Marks and Spencer and the Hilton London Metropole. 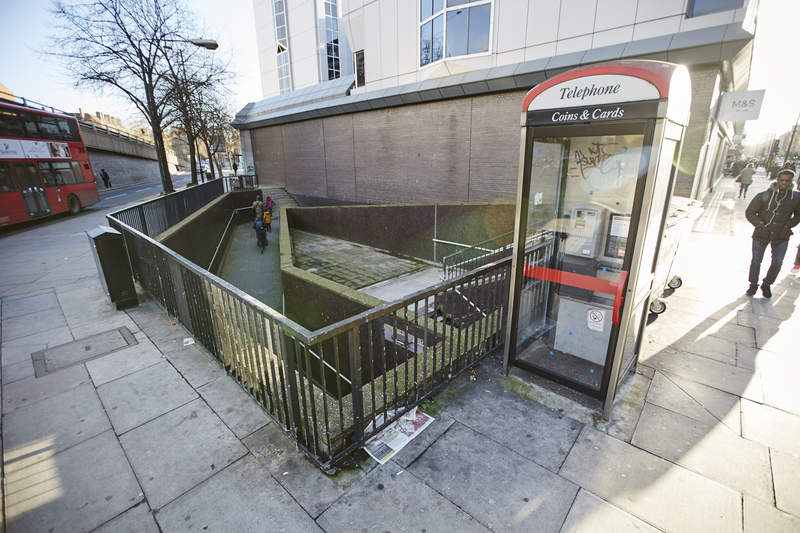 Currently, the subways have long ramps and steps leading to the seldom utilised tunnels of the subways. These ramps and steps will be re-purposed as gardens by planting a combination of foliage, including grasses, bushes and trees at each quadrant of the junction. 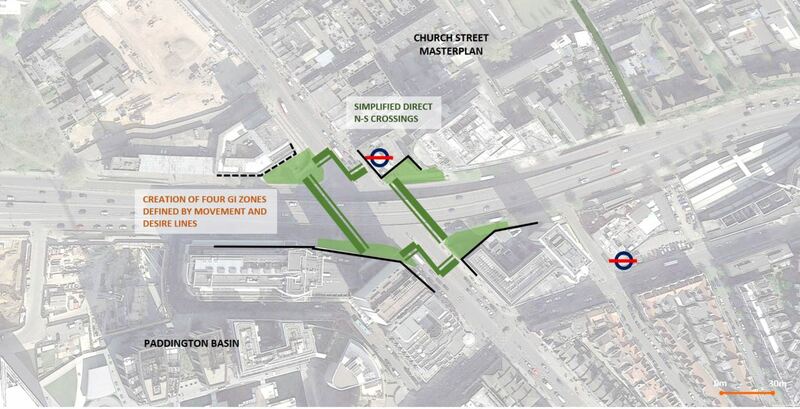 Much of the space taken up by the steps and ramps that lead down to the subway will be planted with a combination of grasses, bushes and trees at all four corners of the junction. These would be specially designed not only to be pleasant to look at but also to absorb rainwater to reduce surface flooding at the junction. This will attract funding from Thames Water which should cover most if not all of the cost of the scheme. We also hope that the planting will help absorb some of the vehicle emissions, so not only making the place nicer place to walk through but reducing flooding and improving local air quality as well. With air quality and public realm as principle initiatives for our BID district, the gardens will be specially designed to absorb air pollutants as well as rainwater, reducing the exhaust emissions from traffic and surface flooding on the pavements in this area. Consultation on the proposals will take place in the autumn this year with the aim of installation the gardens by 2020. We will update this space with more details on the consultation. In the meantime, if you have any suggestions or thoughts in support, please let Mike in the BID team know.